Add mulch for protection: Mulch is one of the best ways to protect the roots of shrubs and young trees. Add a fresh layer that’s several inches thick. You should also add extra soil around your rose bushes before covering the base with mulch. Clean up flowerbeds: Your rudbeckia and lantana looked fantastic during the summer and fall, but now all that’s left are faded flowers and dead leaves. Clean up these materials now and you’ll improve the appearance of your landscaping and will be prepped and ready for the spring. 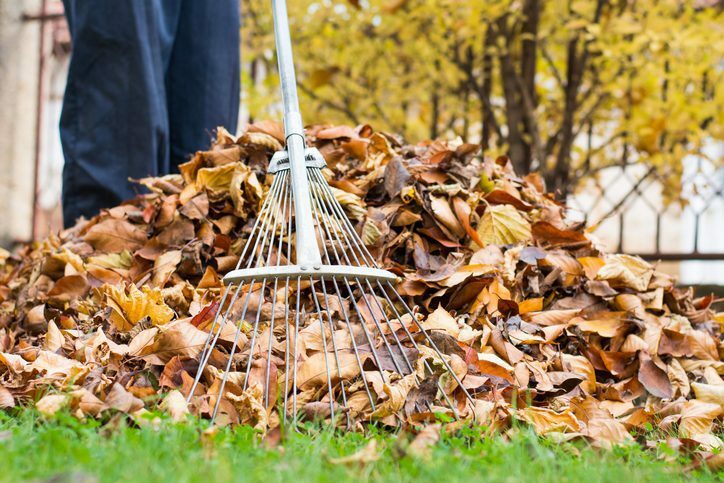 Manage fallen leaves: Yes, it’s a never-ending chore. However, piles of leaves that are left under trees are breeding grounds for diseases and pests. Rake them up and move them away or use a mulching mower. Plant bulbs now: Bulbs produce beautiful flowers in the spring. If you’d like to add this splash of color to your yard, now’s the time to get them in the ground. If you wait until the ground freezes, the bulbs will be harder to plant and may not be as successful. Don’t have time to keep up with your landscaping in Rock Hill, SC? Rolling Hills Nursery & Landscaping has a landscape management service that will keep your yard looking great all year long. Call today to learn more or to get a quote on any of our services. What Should Be Included in a Landscaping Quote? How Much Do Landscaping Services Cost?